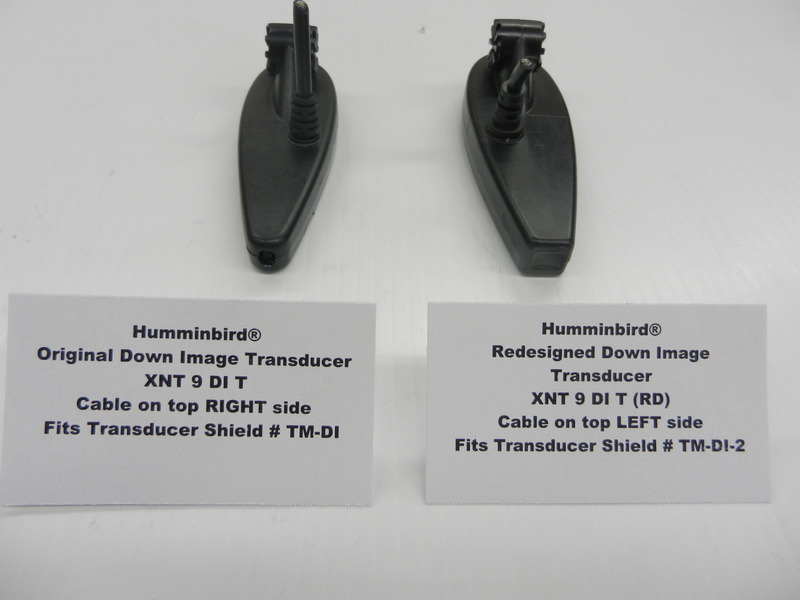 TM-DI fits Humminbird® Down Image Transducer # XNT 9 DI T for trolling motor, set back or jack plate installation. 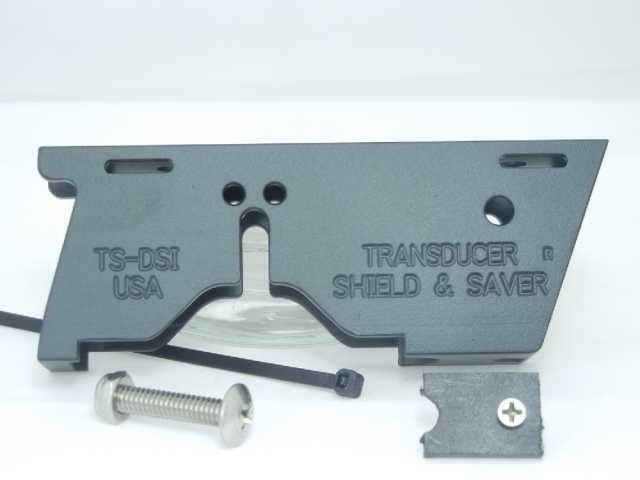 It DOES NOT fit the redesigned Down Image transducer # # XNT 9 DI T (RD). 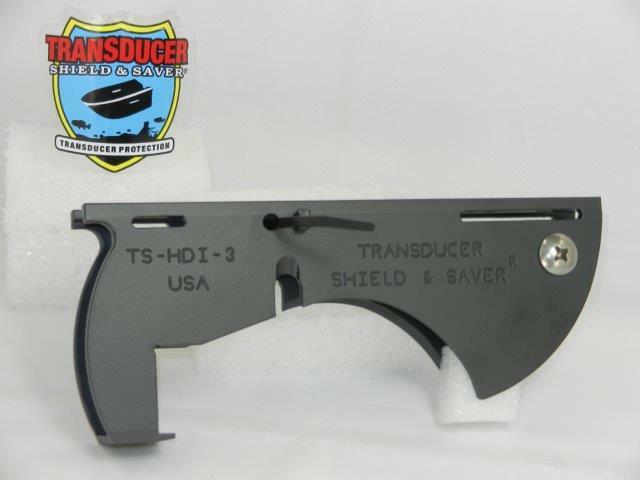 Onix Down Image Transducer XNT 14 DI T (RD) or XM 9 MDI T.
ITEM TM-DI is built in High Quality Aluminum Alloy and Black Powder Coated to withstand harsh environment. It is designed to fit Humminbird® down image transducer # XNT 9 DI T. Please enlarge the images for transducer recognition. 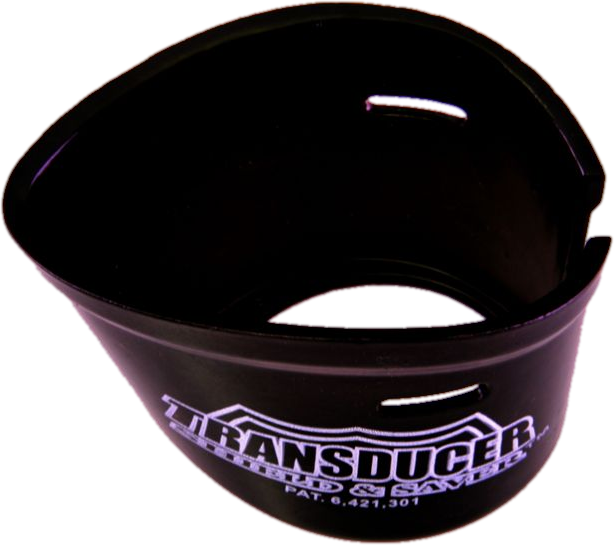 CLICK HERE to see more transducer information. 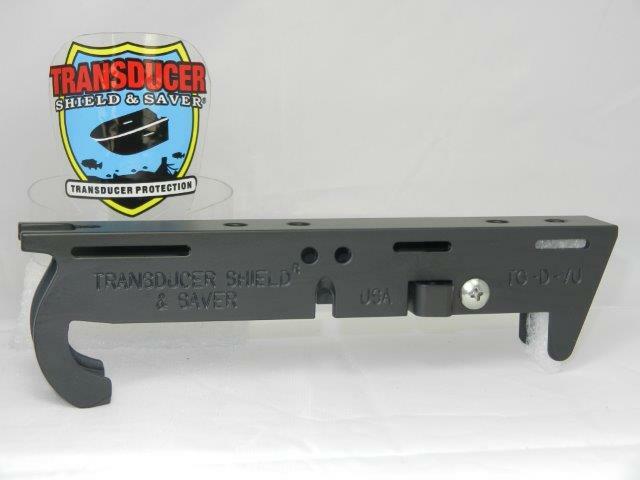 The Transducer Shield’s sleek and Hydrodynamic design will cut through the water for less drag, especially on trolling motors, reduce collection of debris, keep the transducer positioned correctly and will not interfere with the transducer signal. 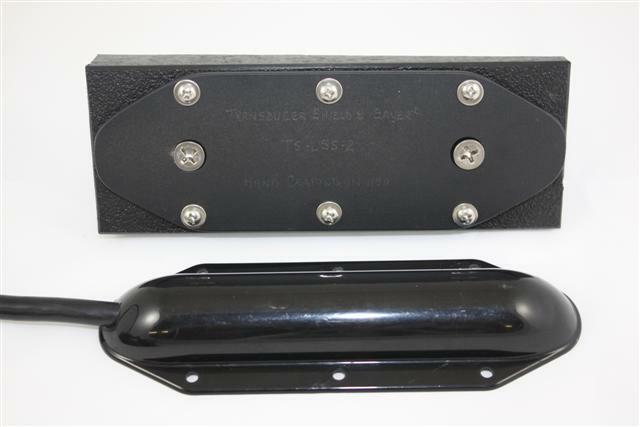 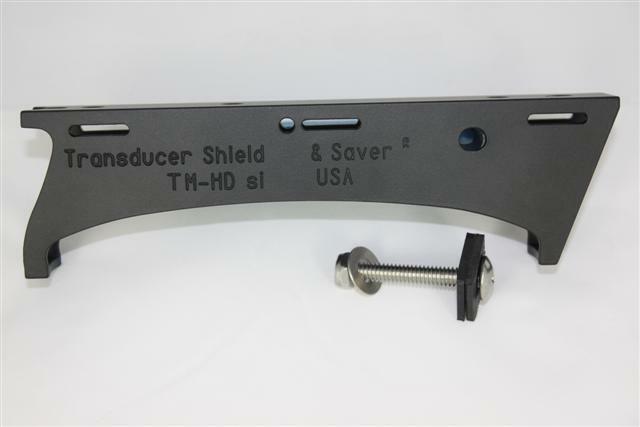 This Transducer Shield® can also be attached to any of our L Brackets for installing on the side of your jack plate OR on a Wedge for installing on the set back of some boats. 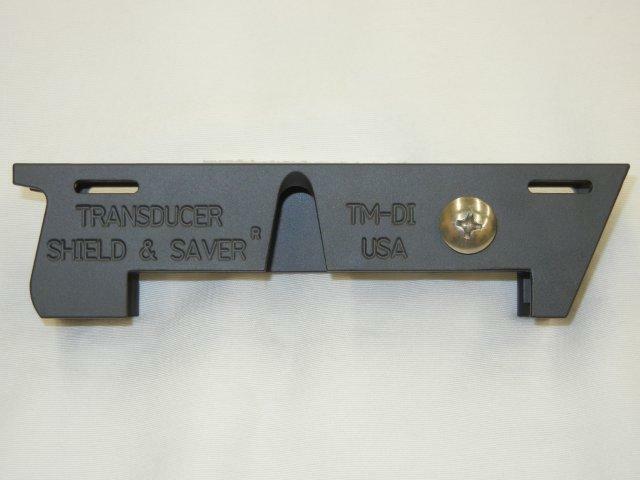 Please note that TM-DI WILL NOT fit the redesigned Down Image transducer number XNT 9 DI T (RD) or either of the following: Onix Down Image XNT 14 DI T (RD) or Mega Down Image XM 9 MDI T. The transducer number can be found on the transducer cable closest to the plug. 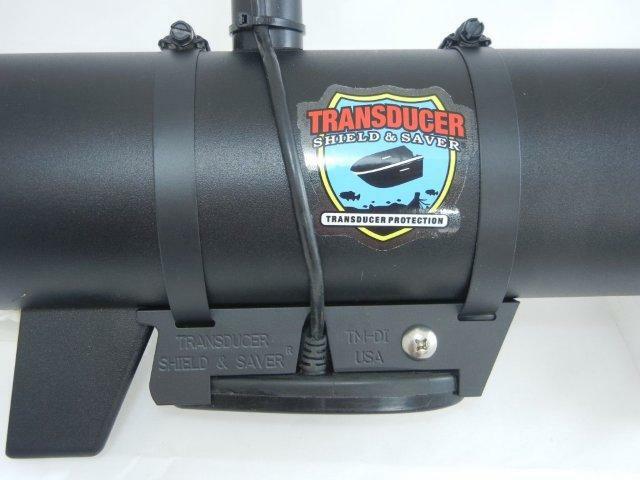 It is Very Important that you know YOUR transducer number because Humminbird® has not changed the transducer number on their website. 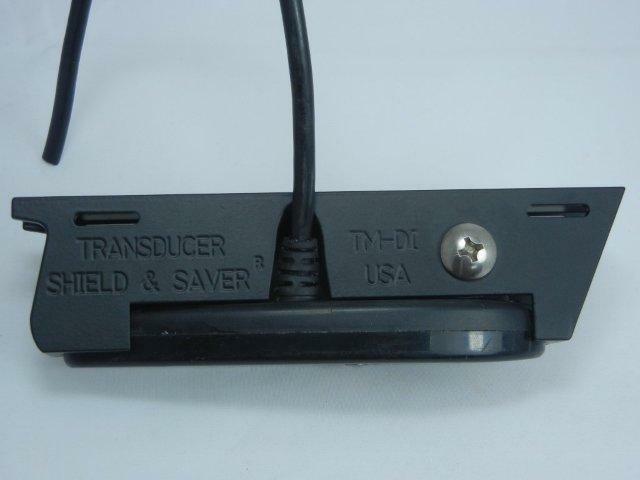 If you are not sure which transducer you have, please click on the following link – CLICK HERE to see more transducer information. 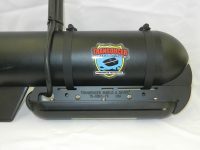 For trolling motor installation, two straps are required and are not included. 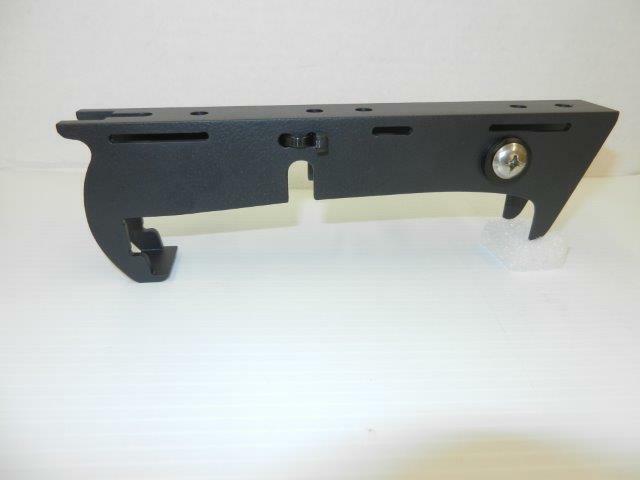 Heavy duty stainless steel, black powder coated straps are available @ $5.95 each. 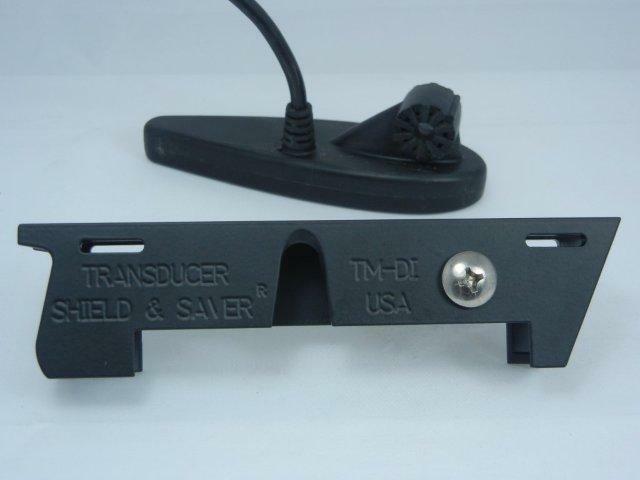 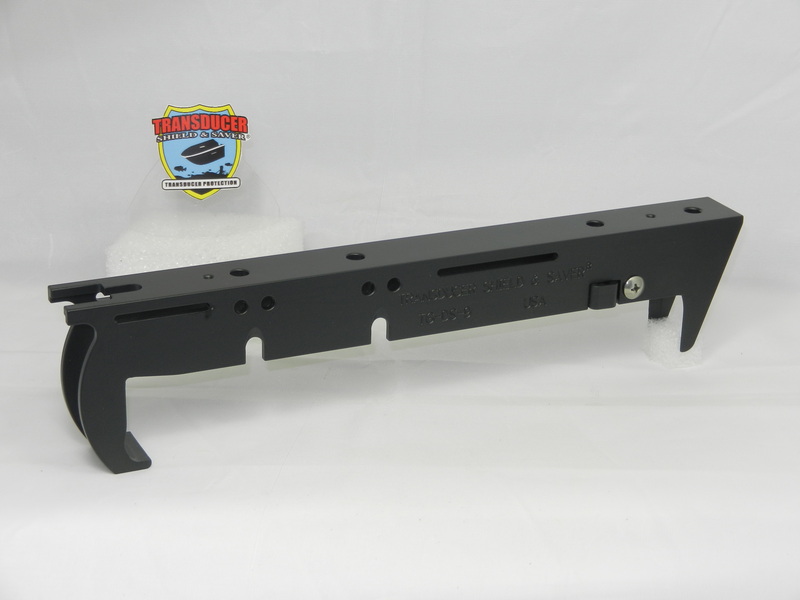 Item TM-DI along with additional accessories, can easily be bolted to the side of a Jack Plate, on the hole shot plate under the jack plate OR on a boat set back. For more information please go to L Bracket and/or wedges.